Iron Fist Top 10 villains! Iron Fist does not have a very large. rogues gallery. He has often fought Spider-Man, Avengers, and Luke Cage villains over his history. Not many villains are distinctive Iron Fist villains. That said while there may not be many villains related to Iron Fist there are a few really great ones. Here is Iron Fist's top 10 villains! I would say really my favorite characters on this list come from the Immortal Iron Fist series. Many of these characters are not true villains perse but more gray in morality. They are adversaries that Iron Fist has faced though and so they end up on the list. There really is not getting around the fact that some of the lesser known characters on this list are pretty dang weak. Not to hate on you Danny but you really need to pick some fights with some cooler people. Warrant is a high tech Bounty Hunter who is sent after Iron Fist and nearly kills him. He has very few appearances but who knows that could change. While he has not appeared very much I have to say that I like Warrant's design and weapons and would like to see him again. Zhou Cheng is a demon infested martial artist who has killed prior Iron Fists in the past. He makes a notable appearance in the Iron Fist Netflix series. Not really a villain but another Immortal Weapon who is competitor of Iron Fist's in the Heavenly Cities Tournament. She is able competitor whose beauty hides her deadliness. Alright another morally ambiguous character but this time we have truelly terrifying character in the Bride of Nine Spiders. Some suspect that she we will be in the Netflix Iron Fist series. Fat Cobra is my favorite character on the list. He would be higher on the list if it was based off just being hilarious, awesome and cool. However, he slid down to 5 because he is really not a true villain. He is one of those morally gray characters that sometimes battles Iron Fist and sometimes battles with Iron Fist. What side is Fat Cobra on? Well that's easy the one with the most girls and alcoholic beverages. Scimitar is basically a super powered thug, but a cool super powered thug. He is generally one of the henchmen of Master Khan. He also has some history battling the X-Men. Crane Mother is a terrifying evil leader with mystical abilities that wants to counter the Iron Fist in the Heavenly Cities tournaments. 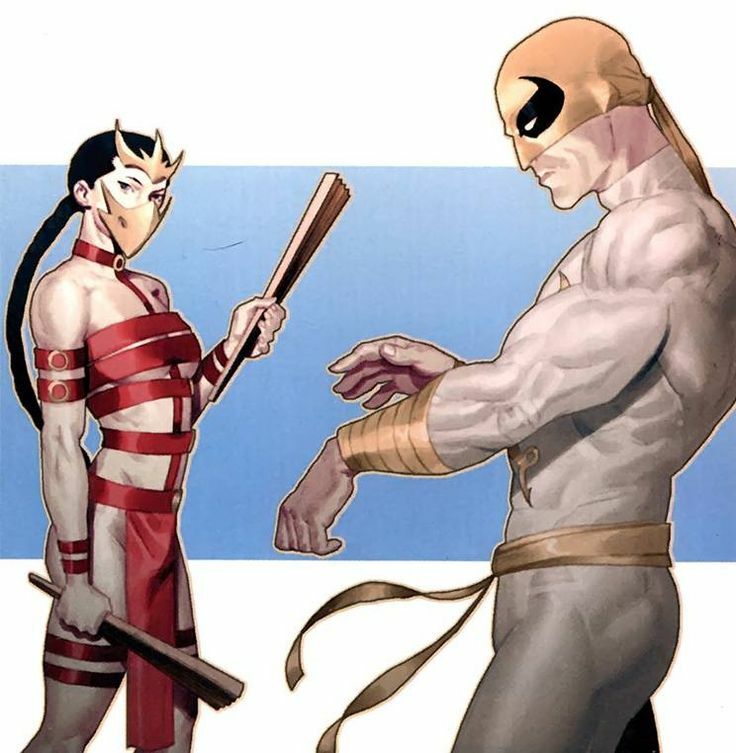 I also believe that Crane Mother is Madame Gao in the Defenders Netflix shows. 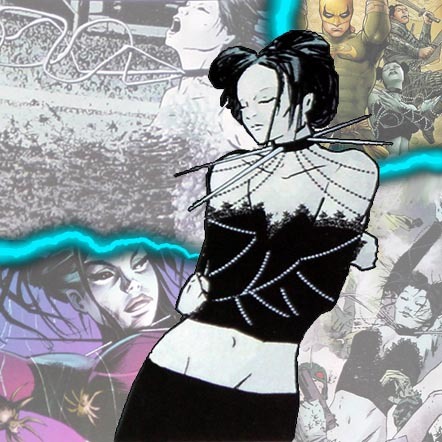 So watch out if I am right she has already appeared in the MCU. Crane Mother also joins forces with the Steel Serpent to bring down Iron Fist. Her knowledge and mystical skills make her a formidable opponent by herself. Master Khan is one of Iron Fist's oldest villains and has cropped up from time to time to battle the Heroes for Hire as well. He has magic abilities that help him engage Iron Fist. He also flew on a jade tiger which is kind of cool in and of itself. I really think if they bring back Khan they should make the Jade Tiger steed a mainstay. The Prince of Orphans is actually a good person but has a terrifying amount of power. He is on the list for the story where he is chasing and attempting to kill Iron Fist. Few on this list can match his sheer powers, experience and martial arts bad assery. When things go south with the Prince of Orphans you are in very big trouble. Now on to the number one villain Iron Fist villain and this is actually a no brainer. 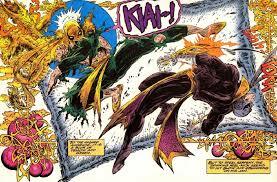 He is both a great villain and has deep history with Iron Fist easily making him the hero's nemesis. Davos also known as Steel Serpent trained with Danny Rand in Kun Lun and was his primary competitor to become the Iron Fist. He believes that Danny stole the mantle that was rightfully his. He then adds to his power by seeking out other mystical abilities that help him counter Danny's Iron Fist abilities. Steel Serpent is Iron Fist's true Arch Enemy. Scythe is one of the first villains to face Iron Fist in the comics that has martial skills. This jerk found a magical book and cause problems for a newly resurrected Iron Fist. and....and.......yeah that is about it. Pretty hard to get too excited about Abbot Thanademos. He might also make for a good Doctor Strange villain though.